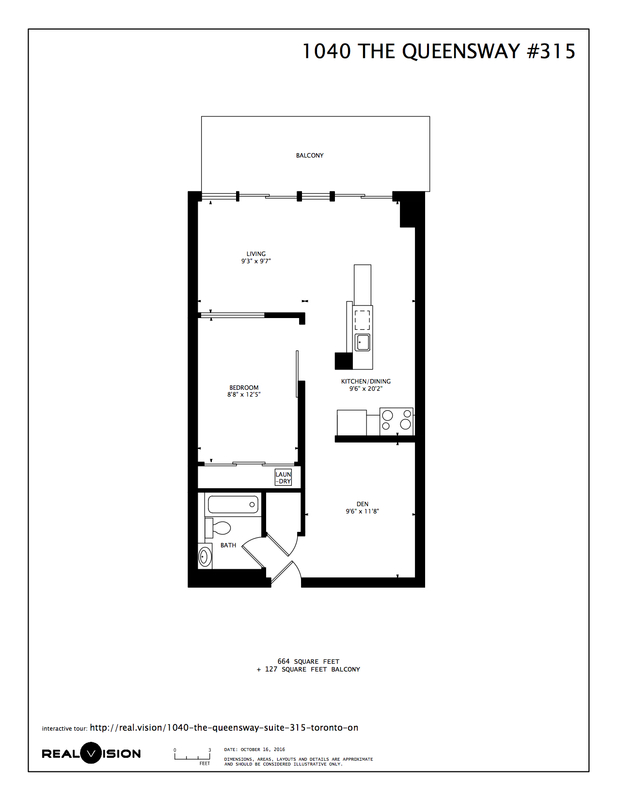 Sun filled And Spacious 774 Sf Including 94 Sf Balcony With Unobstructed South Views. Extra Large Den Which Can Easily Be A 2nd Bedroom. Newer Engineered Hardwood Flooring (2015). Open Concept Living Room, Kitchen With Upgraded Quartz Countertop (2016) And Attached Dining Table. Building Amenities: Lap/Resistance Pool, Gym, Party Rm, Out-Door Hot Tub And Fireplace, Sauna. 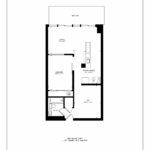 Easy Access To TTC, QEW, HWY 427, 15 Min From Downtown. Listed by: Core Assets Inc.